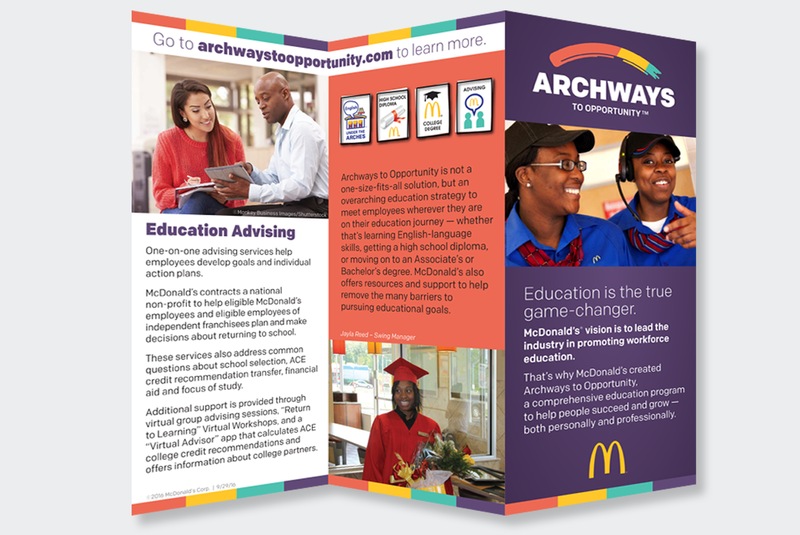 Since the Archways logo is very colorful, I used those colors in solid blocks to create an attention-grabbing brochure. Since there are four programs under the Archway brand, I used a different color block for each program. 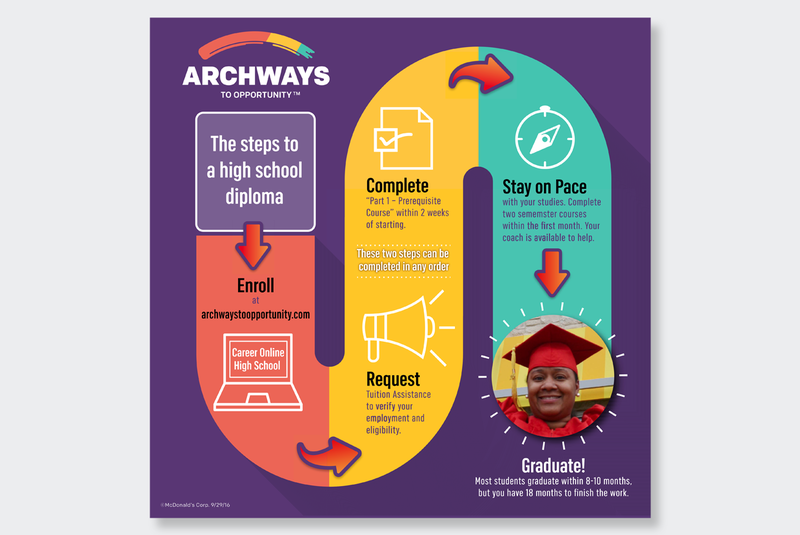 The Archways team wanted a one page, colorful, easy "infographic" and I came up with a roadmap with icons to illustrate the steps. I also cut/combined text to simplify the graphic. 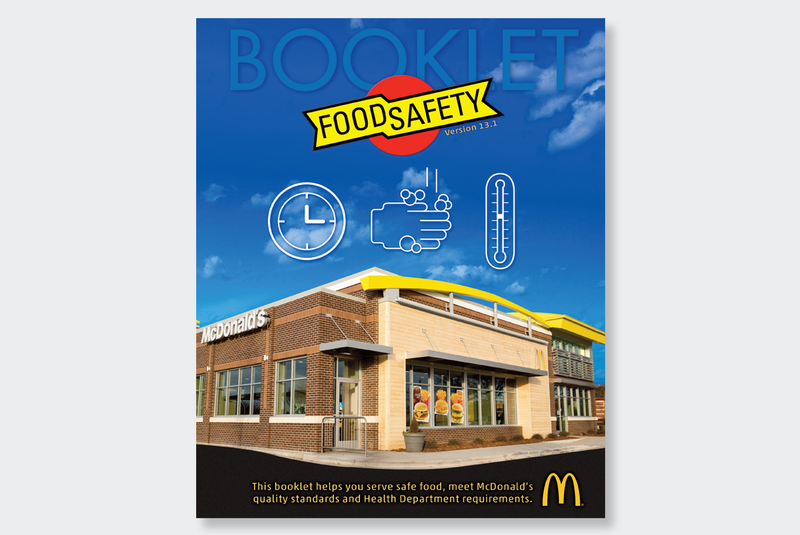 To keep track of food safety, this booklet houses daily and monthly checklists. I designed this cover in layers – outlining the restaurant in Photoshop and layering it onto a bright blue sky. The icons illustrate what the booklet is for and the colors I chose make the Food Safety logo stand out on the cover.